This is a sneak peek at the cover art delivered by Damon Za for the upcoming novella, Allora. Rather than a background story in the Silver Ships series, this novella, which is a tale of sacrifice and birth, will relate the events of a momentous transformation in the Confederation that will impact the future of Alex and company. I’m hoping to be able to release the novella early in December. P.S. When you look at the luminous crystal on the cover, I want you to think of the place where a SADE’s mind resides. This entry was posted in Readers, Uncategorized on October 31, 2016 by Scott Jucha. 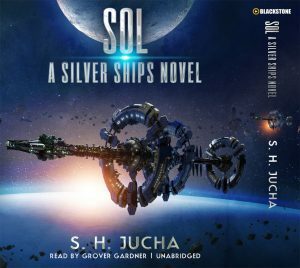 The Sol audiobook is finally online at Amazon, Audible, and Blackstone. For those individuals who waited patiently, you have my apologies for the production delay. I had hoped Blackstone Audio would meet the October 11th deadline, but issues within the company cropped up that prevented completing production by that date. Enjoy listening to Grover Gardner! My thanks to eBookDaily, which has highlighted Espero today on eBookDaily.com and in the Bargain newsletter. 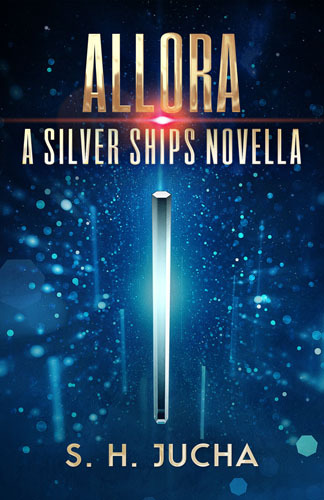 ebookDaily has been generous enough to feature four of the Silver Ships series novels in their bargain newsletter posting. This entry was posted in Marketing, Readers, Uncategorized on October 13, 2016 by Scott Jucha.